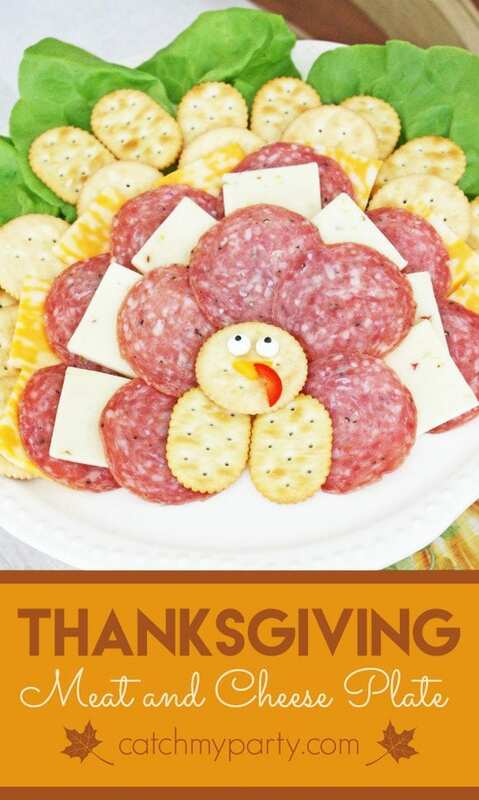 Get Thanksgiving started with this delicious and fun turkey-shaped Thanksgiving meat and cheese plate. I used a round cake stand to display my meat and cheese turkey platter. To add some color to the platter you can cover the platter in green lettuce before layering the meat and cheese. 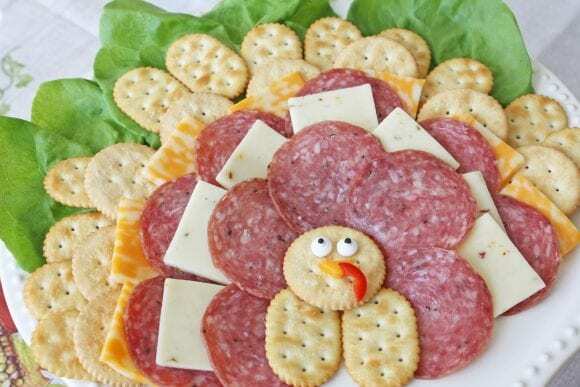 Start with the oval crackers and place them along the edge of the platter about ¾ of the way around, leaving room at the bottom for the turkey’s body. 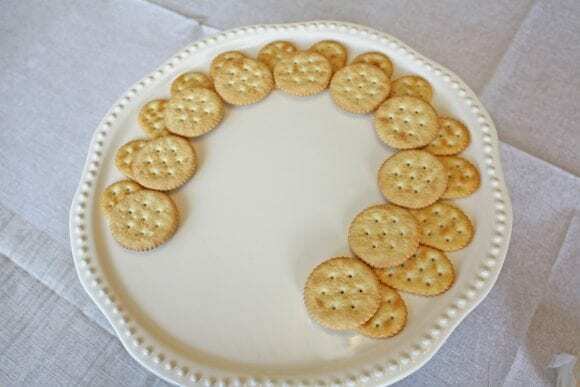 Next, layer the round crackers on top of the oval crackers (placing them at the halfway mark of the oval crackers). See photo for example. Depending on how large your cake platter is, you can add more than two layers of crackers. The crackers create the outside portion of the turkey’s feathers. I bought the pre-sliced cheese tray with a variety of cheese flavors. 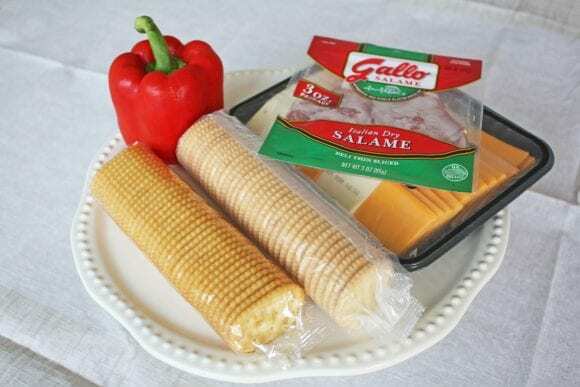 Add the first layer of cheese slices on top of the round crackers. 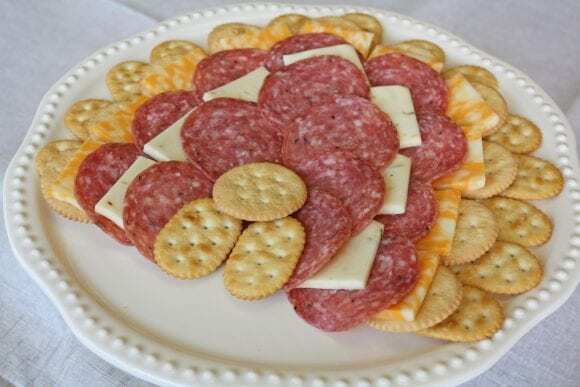 Alternate the cheese slices with the salami slices until you have a full tray. 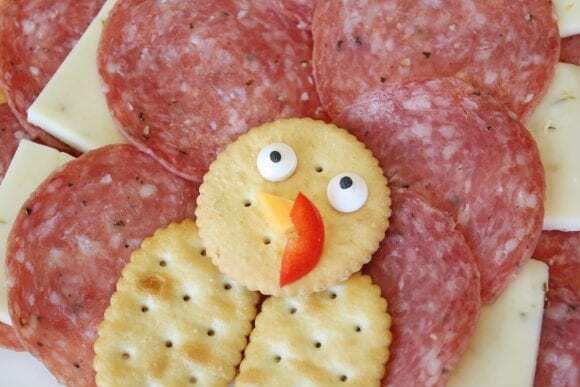 I used two oval crackers for the turkey’s body and one round cracker for the turkey’s head. Add two candy eyes ( you can find these in the baking section of the grocery store). 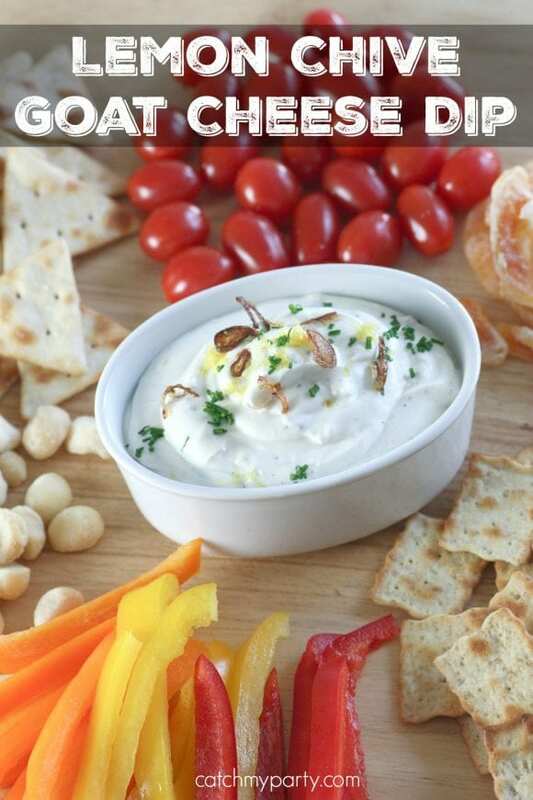 If you add a little cream cheese to the back of the eyes they will stick to the crackers. Cut a small triangle from orange cheese for the turkey’s beak. Slice a small piece of red bell pepper for the turkey’s waddle. If you do not have candy eyes, you can always use olives. 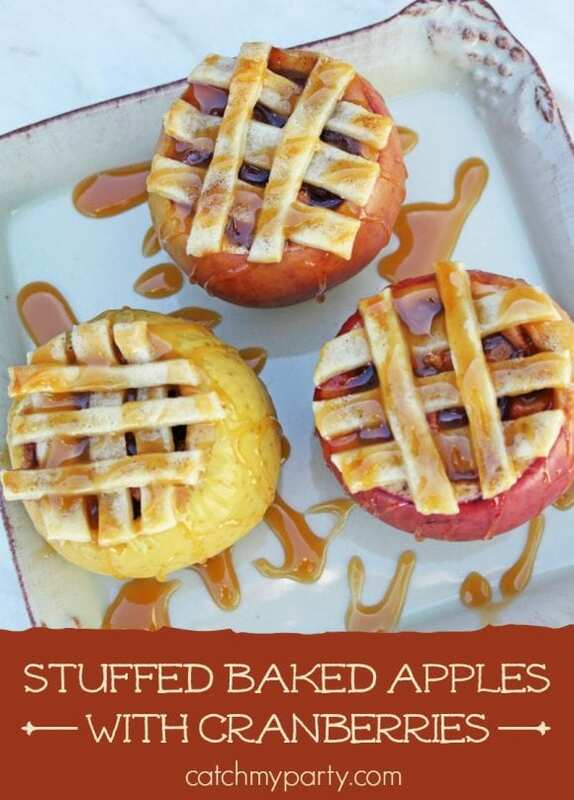 Simple, fun, and definitely a crowd-pleaser!! This fun DIY was created by our style and craft contributor, Shauna at Ella and Annie Magazine! To see more of Shauna's work, check out Ella and Annie Magazine and visit them on Facebook,Twitter, Instagram, and Pinterest.